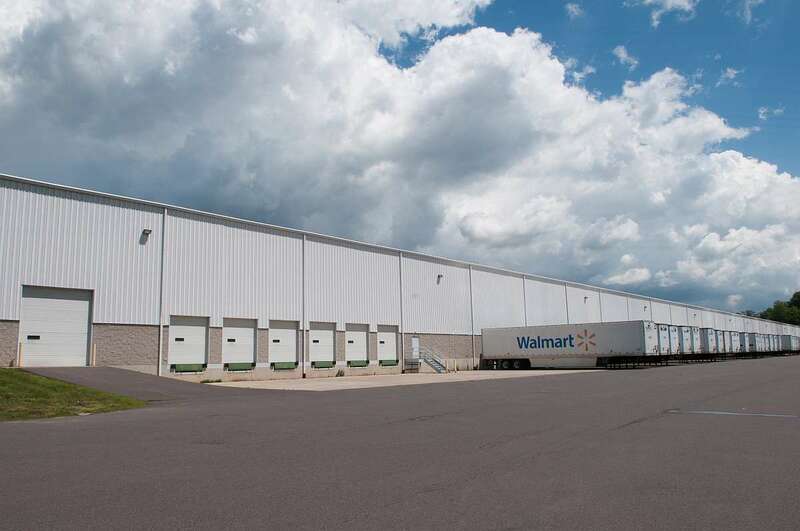 An affiliate of Endurance Real Estate Group, LLC (“Endurance”) is pleased to announce the disposition of the I-81 Industrial Portfolio, a three (3) building bulk warehouse/distribution portfolio totaling 544,974 SF in Northeastern Pennsylvania. The portfolio includes 7 and 15 Alberigi Drive in Jessup Borough, consisting of 166,794 SF and 129,540 SF, respectively, and a 248,640 SF building at 32 Earth Conservancy Drive (formerly known as 32 S. Preston Drive) in Wilkes-Barre. The Cushman and Wakefield team of Gerard Blinebury, Gary Gabriel, and Jeff Williams brokered the sale. The buildings were constructed in the late 2000’s and feature Class A warehouse/distribution specifications including 30’ clear ceiling heights, ESFR sprinkler systems, and ample loading capacity with full dock packages. The portfolio is situated in the Northeast PA submarket of the I-81/I-78 Distribution Corridor, offering users immediate proximity to I-81 and close proximity to I-476 (PA Turnpike), I-80, I-84 and I-380. Improvements completed by Endurance included the installation of T5 lighting, landscaping enhancements, and new shell office space and restrooms providing immediate occupancy for prospective tenants. Due to these upgrades, and the efforts of the Cushman and Wakefield portfolio leasing team lead by Dan Walsh and Gerard Blinebury, Endurance leased the remaining vacant space at 32 Earth Conservancy Drive to Propak Logistics and procured Kiewit Power Constructors, Inc, a national engineering company, for the full building at 15 Alberigi Drive. In addition, after BAE Systems vacated 7 Alberigi, Endurance backfilled the vacancy with LBP Manufacturing, a national food packing manufacturer. This new leasing totaling 356,125 SF resulted in an increase from the 53% occupancy at purchase to 81% occupancy upon disposition. Endurance’s newest project in the I-81/I-78 Corridor is the 485 Distribution Center, located on the site of a former Quaker Oats manufacturing plant, in Shiremanstown, PA (485dc.com). Demolition of the site is on schedule, with a 456,000 SF Class A warehouse/distribution facility due to be partially move-in ready by April 2018. Easily demisable for multiple tenants, the building will feature an ESFR sprinkler system, 32’ and 28’ clear heights, and an unbeatable location less than one mile from the Capital Beltway and Route 15 in the Harrisburg MSA, providing immediate access to Interstates 76, 81 and 83. Endurance Real Estate Group, LLC (endurance-re.com), founded in 2002, is a Bala Cynwyd, Pennsylvania-based real estate owner/developer focused on income and value creation opportunities in the Mid-Atlantic region with a concentration in office and regional and bulk warehouse/distribution assets. Endurance’s current portfolio consists of over 3MSF of warehouse/distribution, flex, and office assets. Affiliates of Endurance have closed on five separate transactions in the last 2 years, totaling over 1.5 MSF of warehouse, distribution, and flex space.